This is the marine portion of the huge Porto Conte park ecosystem, added in 2002. 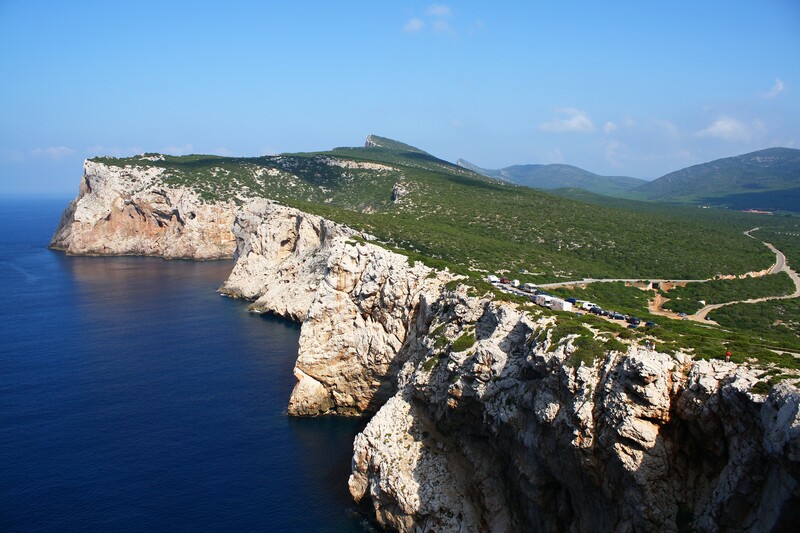 The protected area of Capo Caccia - Piana Island falls within the territory of Alghero and includes Porto Conte bay and the stretch from PungaGiglio to Capo Caccia: a priceless natural heritage, embellished by the fossil-rich limestone and rare plants growing on the cliffs. 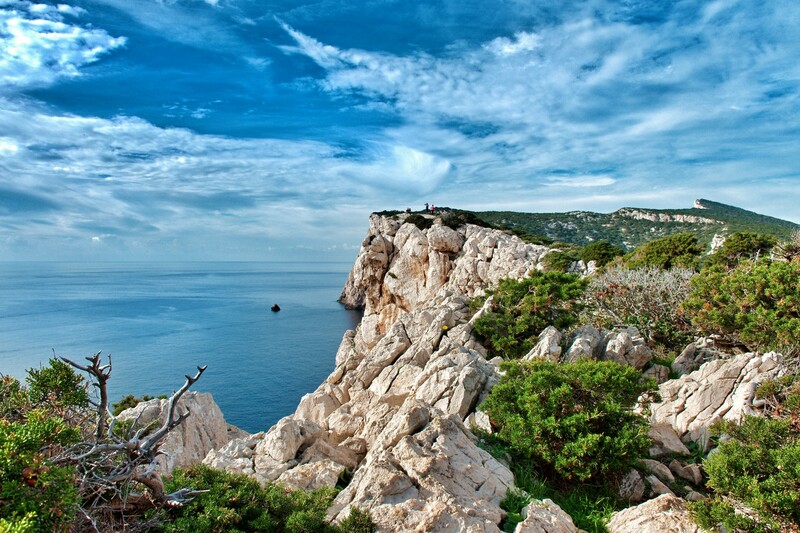 You can visit nature and archaeological sites with trekking and caving itineraries, such as Le Prigionette, a forest with white donkeys, Giara ponies and deer, or - on permission - the Grotta Verde, where you can find traces from seven thousand years ago, perhaps intended for the dead or as grave goods, including human fossils, ceramic items and graffiti. If you're mad about archaeology, in the park don't miss the Nuraghic complexes of Palmavera and Sant'Imbenia and the Roman remains: Villa di sant’Imbenia and the bridge over the Calich. 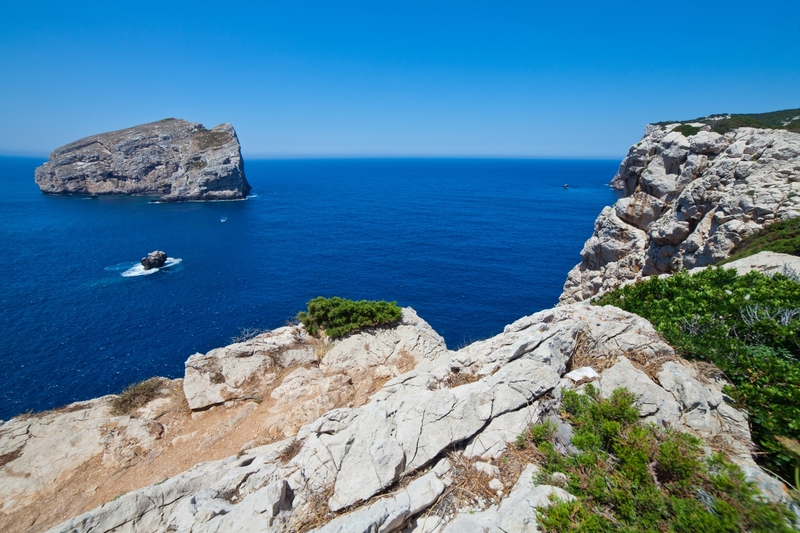 The paths in the marine area lead up to panoramic views such as CaladellaBarca, named for a French vessel that sank here in 1664. 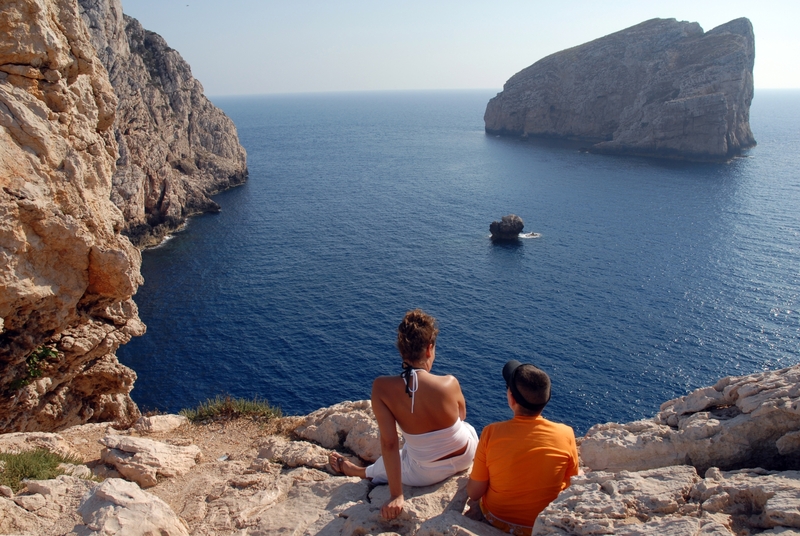 You can go bird-watching in the paradise of grottoes: rocky outcrops suspended 300 metres above the sea are populated with birds such as griffon-vultures in the most difficult to reach cliffs, and the peregrine falcon at Punta Cristallo. The area has several levels of protection: the A zone is closed, while the reserves - Punta del Cerchio, Cala del Bollo and Porto Conte - offer perfect diving areas. Among the crevasses and spires, you can observe impressive layers of calcareous algae and posidonia meadows, with fish, molluscs and crustaceans. Enormous massifs plunge into the sea with walls dotted with caves high up in the air and in the sea. You can reach the Grotta di Nettuno thanks to the Escala del Cabiròl, or with the shuttle that runs from the town port and CalaDragunara along Capo Galera and the characteristic of ForadadaIsland. The interior of the cave, nearly 600 metres of which can be visited, offers suggestive scenery with stalactites and stalagmites and a lake. The underwater grotto of Nereo is the largest in Europe: the entrance is 32 metres underwater and the exit is 15 metres down, after a 350 metre swim through tunnels and rooms. In addition to the two most famous caves, there are the grottoes of Giglio, Pozzo, Falco and the tunnel azzurro (blue tunnel) that crosses the promontory from CaladellaBarca to CalaPuntetta at a shallow depth. 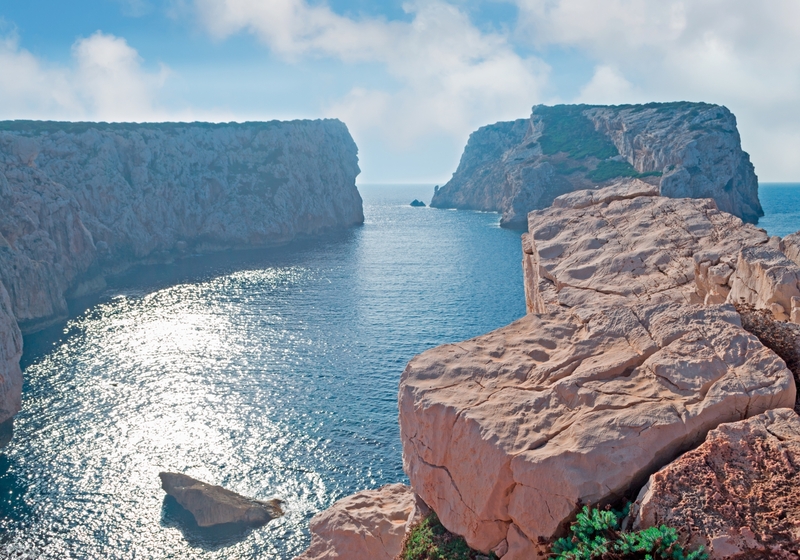 You can explore a mysterious and fascinating world, discovering forms of life such as the red coral, that is the symbol of the Alghero coast, known as the Coral Riviera. Per visitare l'Area Marina Protetta Capocaccia - Isola Piana è necessario raggiungere l'abitato di Alghero e seguire le indicazioni per l'oasi naturalistica. Do you like this place? 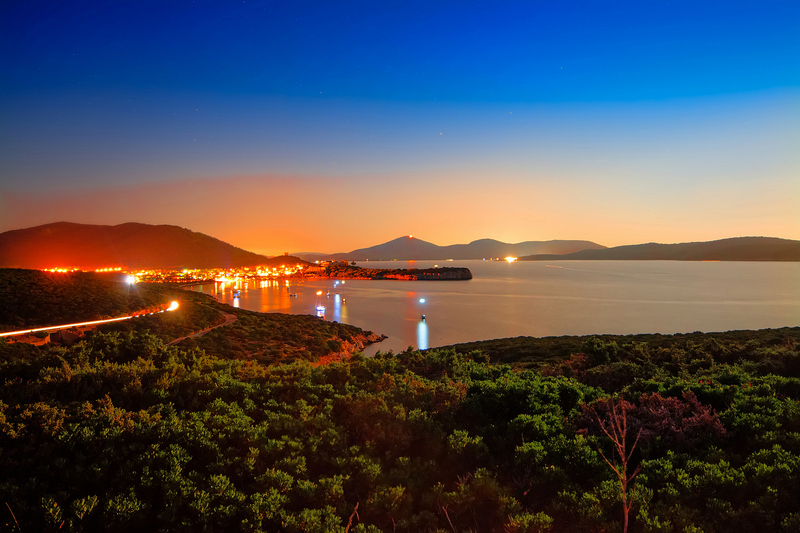 Alghero and Stintino could be your ideal destinations.